solely to incorporate all of the AICPA blueprints. each representative blueprint task tested on the exams. with free access to text errata throughout the year. Small and easily digestible chunks to help with comprehension and retention. 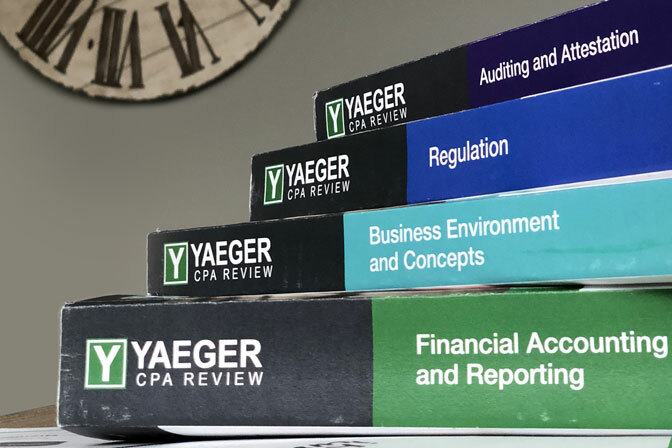 Directly ties to the online lectures and other Yaeger CPA Review course materials. Over 1,400 multiple choice questions included in 4-part set. Add a downloadable digital PDF for $45 each. This is an add-on product. You must purchase the corresponding printed book. When you purchase the Full 4-Part Course bundle or a Single Course bundle, all related products (including books) are already included.